The battle between the pipes: No team in Canada West plays defence quite like the Pandas. They’ve made up for a very ordinary offence by playing suffocating D all year, allowing only an average of 1.8 goals per game. It all starts with goaltender Lindsay Post, who had herself another banner year between the pipes, posting a 14-8-1 record, a .931 save percentage, and a 1.34 goals against average in 23 games. The Bisons are no slouch on the defensive end either, allowing the second fewest goals in Canada West during the season. They may have an ace up their sleeve in the form of fourth-year goalie Amanda Schubert, who wrestled the starting job away from Rachel Dyck late in the season, and posted a 1.16 goals against average and three shutouts in just nine games during the regular season. Schubert will have to play up to those standards in order for the Bisons to be competitive in the series. 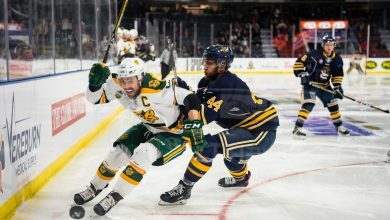 Whichever offence can get on track first: Both the Pandas and the Bisons didn’t count on their offences to carry them, with both teams barely averaging over two goals per game during the regular season. While the Pandas relied on more of a scoring by committee approach, and don’t really possess many impact players on the offensive end, the Bisons have two forwards that could impact the series in a major way. Alanna Sharman is one of them, putting up 22 points in 28 games during the regular season, making her the leading scorer for both teams in the series by a healthy margin. The other is Venla Hovi, a Finnish international who put up 13 points in 17 games this season, and boasts international experience, having won a bronze medal for her country at the 2010 Olympics. 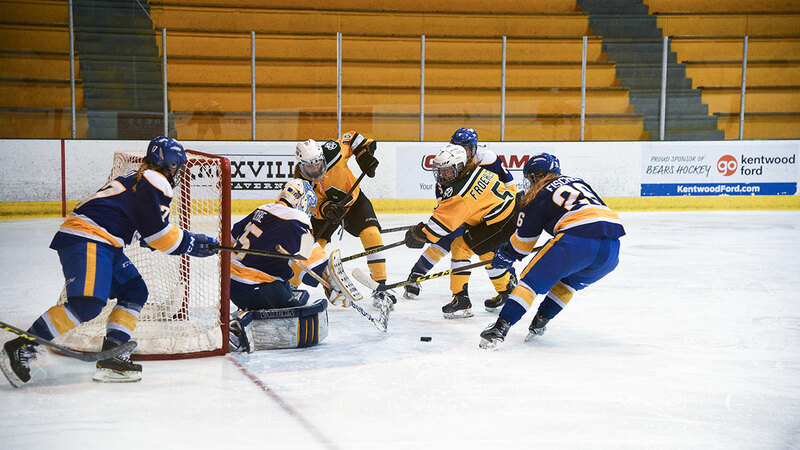 If Lauryn Keen can produce like she did in the Bisons’ quarterfinal victory over Saskatchewan (six points in three games) as well, then the Bisons will have a better shot at knocking off the top team in Canada West. 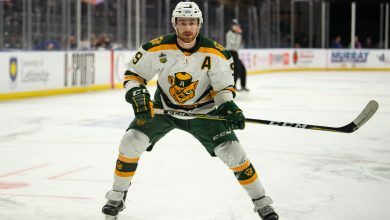 Special teams: Both the Pandas and Bisons were very good on the penalty kill during the regular season, killing penalties at over 90 per cent. In terms of power play numbers, both teams finished in a dead heat as well, converting at 14.3 per cent during the regular season. While there isn’t much between the two in terms of percentages, the Bisons did lead Canada West in shorthanded goals this past year, while the Pandas were the only team in the conference who failed to score shorthanded. The Pandas, for their part, did not concede a shorthanded goal all season, so it will be interesting to see if the Bisons’ aggressive penalty kill can catch the Pandas off guard during the series.